Osogbo which known as the capital of Osun state is believed to have been founded around 400 years ago. It is part of the wider Yoruba community, divided into 16 kingdoms, which legend says were ruled by the children of Oduduwa, the mythic founder, whose abode at Ile-Ife, south-east of Osogbo, is still regarded as the spiritual home of the Yoruba people. 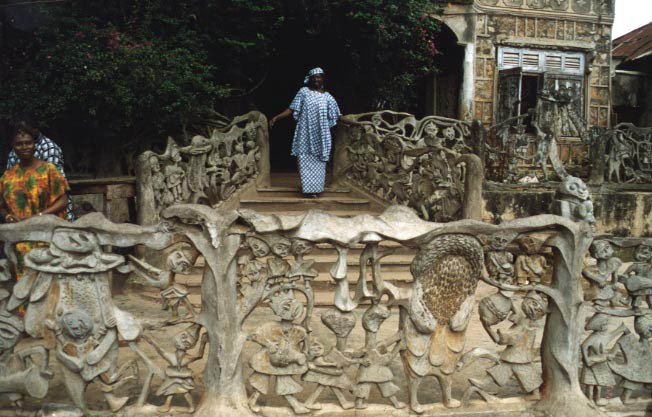 The earliest settlement seems to have been in the Osogbo Grove and included palaces and a market. When the population expanded the community moved outside the Grove and created a new town, which reflected with the arrangements within the Grove. In 1840s Osogbo became a refugee town for people fleeing the Fulani Jihad, as it moved south from what is now known as northern Nigeria. The Yorubas retreated further south into the forests and Osogbo, right at the northern edge of the forest, became an important centre for northern Yoruba land. The Fulani attacks on Osogbo were repelled and, as a result, Osogbo has become a symbol of pride for all the Yorubas. During the first half of the 20th century, the town of Osogbo expanded considerably. In 1914 British colonial rule begun. As it was delivered under a system of indirect rule through traditional rulers, the authority of the Oba and priests were sustained. A greater change was brought about from the middle of the 19th century through the introduction of both Islam and Christianity. Islam became the religion of traders and ruling houses - as it gave contacts to northern trade routes and links to returning enslaves from Central and South America. For a while all three religions co-existed but as time went by it became less fashionable to be identified with the Ogboni and Osun cults. By 1950s the combined political and religious changes having marked a detrimental effect on the Grove: customary responsibilities and sanctions were weakening, shrines became neglected and traditional priests began to disappear. All this was exacerbated by a rise in the looting of statues and movable sculptures to feed an antiquities market. At around this time part of the Grove was acquired by the Department of Agriculture and Forestry for agricultural experiments. Trees were felled and tea plantations established; sculptures were reportedly stolen, hunting and fishing begun to be recorded - previously forbidden in the sacred Grove. It was at this point in the history of the Grove that Austrian born Suzanne Wenger moved to Osogbo and, with the encouragement of the Oba and the support from local people, formed the New Sacred Art movement to challenge land speculators, repel poachers, protect shrines and begin the process of bringing the sacred place back to life through once again establishing it as the sacred heart of Osogbo. The artists deliberately created large, heavy and fixed sculptures in iron cement and mud, as opposed to the smaller traditional wooden ones, in order that their intimidators and architectural forms would help to protect the Grove and stop thefts. All the sculptures have been done in full respect for the spirit of the place, with inspiration from Yoruba mythology and in consultations with the gods in a traditional context. The new work has made the Grove a symbol of identity for the Yoruba people. Many from the African Diaspora now undertake a pilgrimage to the annual festival. In 1965 part of the Grove was declared a national monument. This was extended in 1992 to all the scared groves of Osogbo to protect the 75 hectares where the site is been located. It is also believed that Osun Osogbo festival has been celebrated since 1370’s and the people still hold on to what their fore-fathers bestowed on them. As a mark of the bond that was established six centuries ago, the Oshogbo people gather annually to celebrate what they observe as their Founder’s Day. 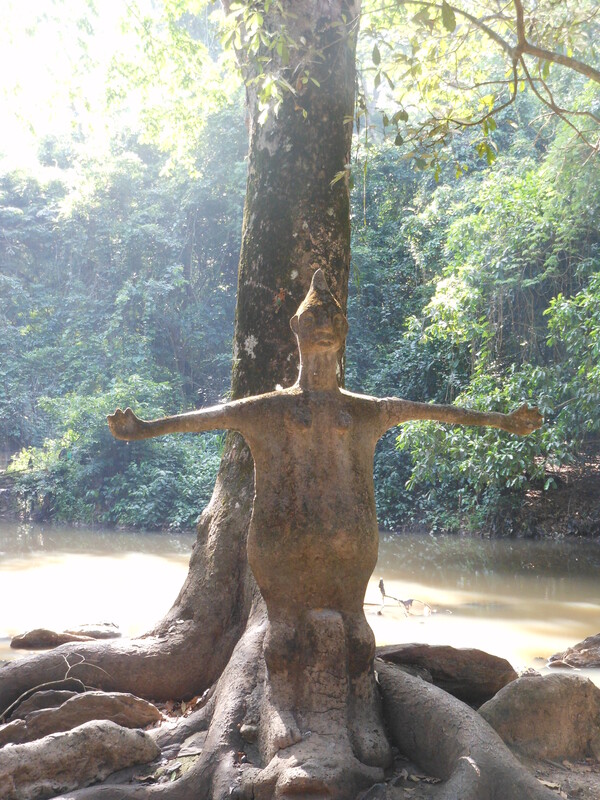 A unique cultural practice built around the relationship that existed between a river goddess and Oba Gbadewolu Laroye inside the Osun Grove; laid the origin of the Oshogbo ascendancy and kingship institution. In spite the proximity of the forest to human habitation, this grove has traditionally maintained and protected by the indigenous people using the myths and beliefs system. This prevents any form of encroachment which is regarded as sacrilegious and offensive to the gods and the goddess. 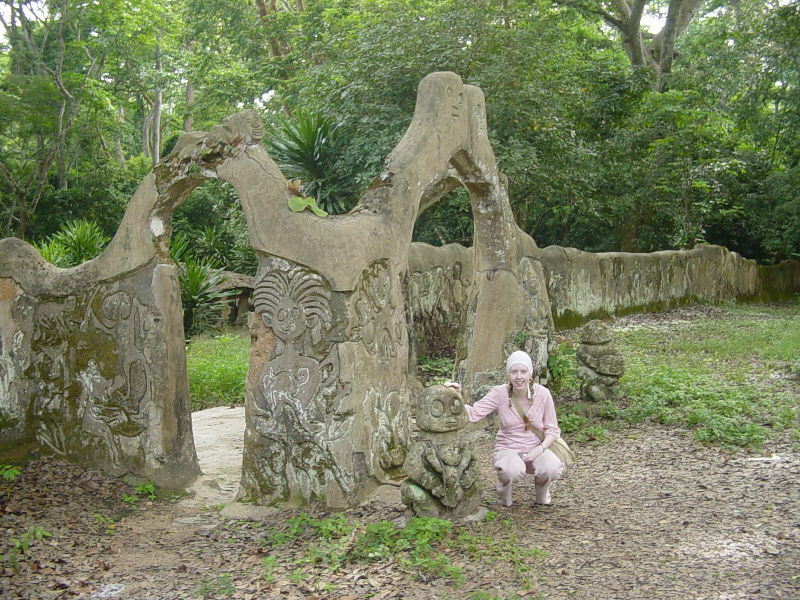 Osun grove was recognized by UNESCO in 2005 as a World Heritage Site and it has been linked to the consistencies that the festival has enjoyed over the years and the protection of the values of the grove by the people. The festival has a two week programme of events starting with the traditional cleansing of the town called “Iwopopo” followed by the lighting of 500 years old sixteen points lamp three days later, called “Olojomerindinlogun.” This is followed by “Ibroriade,” which is the assemblage of the crowns of the past ruler (Ataojas) for blessings and its being led by the Ataoja who is the ruler and votary maid (Arugba) propelled by Yeye Osun, and a committee of priestesses. The Arugba bore the people age-long prayers to the grove in a calabash of effigy which can only be carried by a virgin, which signifies purity. The festival, with its international status, has become a major tourist attraction. Observations over the years have shown that the festive period is the best time to see the city as people parade the streets in their colours. The people look forward to it with great expectation and for the period it last, procession, dance, art exhibition, and colourful carnivals are major attractions of the Osun Oshogbo cultural festival. The event over the years, has given residents and tourists the opportunity to recreate socially, culturally, and economically as they re-enact one of their renowned age-long spiritual and communal feast. Indeed the Osun Oshogbo festival has been and is still one of the most outstanding and preserved cultural heritage of various festivals in Nigeria, Africa and the whole world as a whole. For the first time in the history of one of the UNESCO listed socio-cultural festival site, Osun Osogbo grove, will host an exhibition of excavated antiquities of 17 century as part of glamour for the 2011 edition. This was disclosed by the festival committee at the Osun Festival Corporate Forum held at the Lagos Airport Hotel, Ikeja Lagos. It added that the move was one of the new features invented to add glamour to the event. The exhibition which will showcase the archaeological discoveries at the Osun grove was said to be another dimension at promoting the ingenuity of the forbearers of Osogbo people, the ancient culture, occupation and artistic presentations. According to the committee, “Over the years, some archaeologist have been working to come out with relic of the activities of ancient life at the ancestral home of the Osogbo people and from the few excavation, we are proud to showcase some of the discoveries which include beads of 17 century, 300 years old calories, among others. “Also, this year’s edition will create a rallying point for visitors and tourists to see the art works of over 200 artists at the centre for black culture in Osogbo. Speaking at the corporate forum, the Festival Coordinator, Chief Jimoh Buraimoh, said that the forum was introduced to keep the people abreast of the ongoing and other newer activities to spice up the mood of visitors. Olumoko added that the festival committee was able to seal some deals on how to attract Brazilians for subsequent event. The marketing consultant also disclosed that the event in recent times has attracted committed corporate sponsors who have promised to work within their reach to see that they give back to their loyal customers by promoting the cultural norms and values of the people. “The commitment of corporate sponsors is improving yearly and this year’s event; we are having the like of MTN Nigerian, Star beer, Eagle schnapps, Seaman Schnapps, among others, to spice up the event with wonderful activities to add value to the event. Also, Olumoko disclosed that notable musicians will thrill visitors at the event as the festival concert will feature Dele Taiwo, Abbas Obesere and others crowd pulling Apala, highlife and hip-hop artistes. Monday August 15 - Iwopopo (traditional cleansing of the city); Iwopopo's cultural convoy town storming. Following calls over the years that the festival be made a truly international affair, a visit was paid to Brazil by the festival organizers and its marketing outfit, Infogem Nigeria Limited early this year where they engaged in cultural exchanges and exposition of the festival to the Brazilian communities. A fall out of that visit is a six-year calendar of event for the festival, which hence-forth would allow for international tourists to plan ahead for the festival.